Does Your Car Insurance Cover You Off-Road? Do you have an old pickup truck that you like to drive through the woods? How about a Jeep Wrangler? No matter your vehicle of choice, many drivers today want to enjoy both the paved city streets as well as the mud and dirt off-road paths in their area. 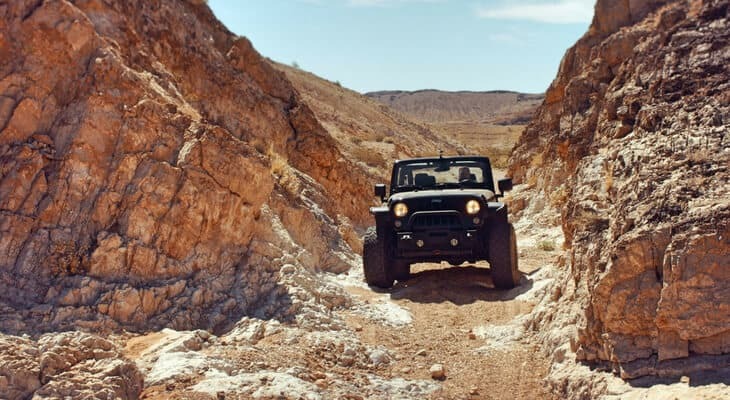 While off-roading can be a blast, it is one that is often frowned upon by your insurer. So frowned upon, in fact, that they probably won’t cover you if get into an accident, hurt yourself or just about any other standard, claim-worthy incident while off-roading. The first thing you should know is that very few insurance policies include coverage for off-road driving. Driving along the highway or driveway: these are roads meant for cars. Driving up the side of a mountain or down ravines: not meant for driving. As such, many insurers won’t cover you because you shouldn’t really be doing it anyway. Boo! This means if you take your street-legal, insured vehicle off the beaten path, you will be driving uninsured. Every claim you file will be denied. However, some policies do provide limited coverage at no extra cost. These are few and far between, though. Before you drive off-road, make sure you read the fine print; you are only covered if it is expressly written into the plan itself. If not, you may want to compare car insurance policies and find one that has the coverage you need. 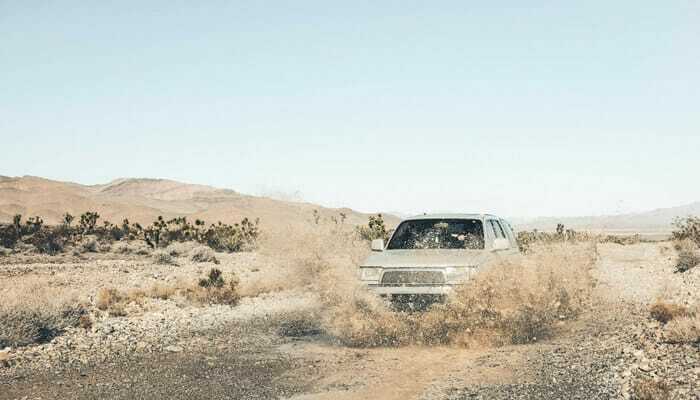 Furthermore, a provider that doesn’t offer off-roading insurance may also be more likely to drop you altogether if you are caught driving on dirt and mud tracks. You could end up having your insurance canceled or be dropped during the renewal phase of your coverage. Know your coverage, know your rights and don’t drive off-road without first making sure you’re protected. While many standard insurance plans don’t include off-road coverage, there are plenty of insurance agencies that have plans specifically for this purpose. With that said, you may want to shop around for additional coverage for your off-road vehicle. Collision protection: This is perhaps the most important insurance component. Driving off-road means you’ll be at risk of hitting rocks, trees, fences and other debris. Get a policy that covers off-road collision damage. Bodily injury protection: The same can be said for bodily injury. Driving off-road can be risky, so have a policy in place that prevents you from being liable should a passenger or bystander be injured from your off-road driving. Property damage: Property damage is the third major risk of off-road driving. Have coverage that will handle the costs if you damage someone’s home, yard, vehicle or other property. You know how certain vehicles are cheaper to insure than others? For example, an SUV from a popular manufacturer is cheaper than a convertible sports car. The same goes for off-road vehicles. This means an insurance policy for your Ford Mustang that you take on dirt roads be sky-high, but coverage for a hard-top, four-door Honda Pilot will be much more affordable. When you’re thinking about insurance, remember to think about your vehicle too. You may even want to shop around for a new off-roader, so that it’s equipped with the latest safety features. It should also help to keep your rates as cheap as possible, so you can enjoy as much off-road driving as you want without worrying about cost or the risk. Other insurance-related elements include alarms, low-mileage vehicles, older models or a safe driving record. So, consider buying an off-road vehicle with some of these features, so you can save some money otherwise spent on this type of specialty insurance. Whether you’re heading off on a dirt trail or racing around woodland, make sure you’re properly covered before you put your pedal to the metal. Compare auto insurance quotes with Compare.com and have fun (and be safe) on your next off-road adventure!